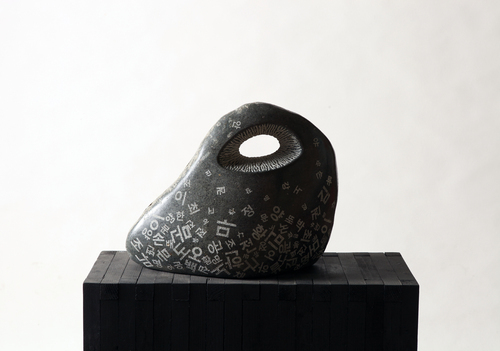 Mun-Gi Yang was born in 1970 in Gwangju, South Korea. 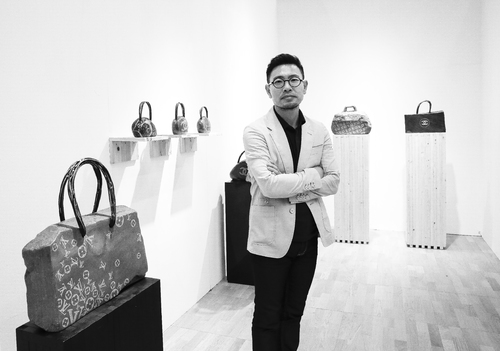 He graduated from Fine Arts at Chosun University. 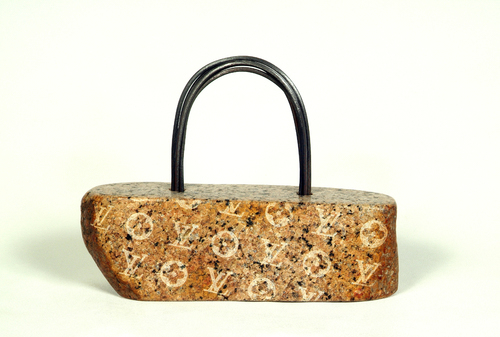 In 2012, the artist-sculptor presented Story of LUXURY STONE at the Okgwa Art Museum in South Korea. 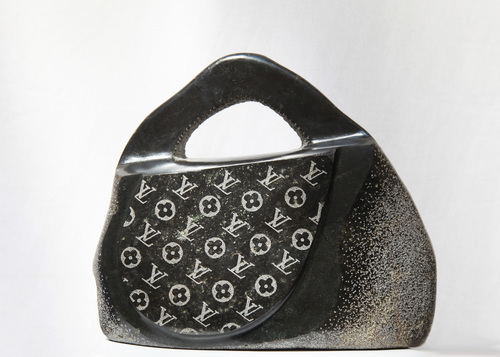 This exhibition revealed the special attention he pays to the meaning and symbolism of the luxury bag by exploiting the aesthetic potentialities of stone. 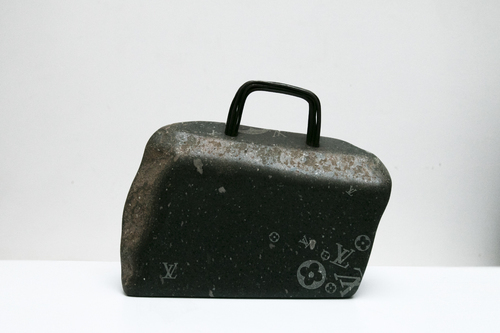 In this exhibition, 45 works proposed to question the nature of the object and the human being and the structure of social mechanisms in the elaboration of contemporary desires. 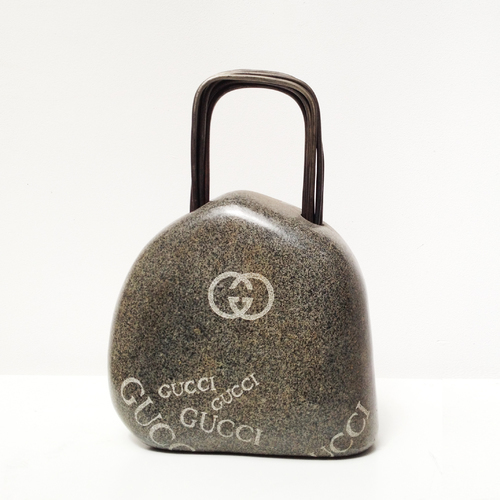 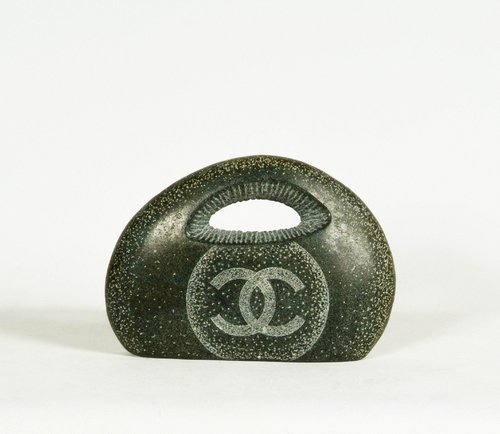 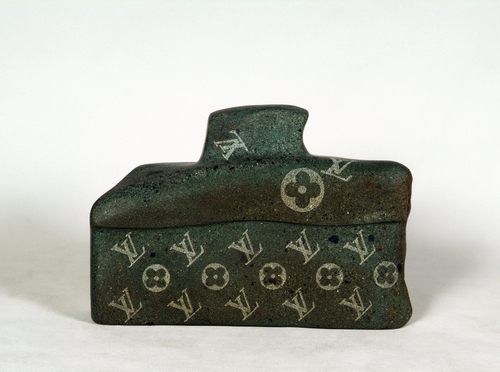 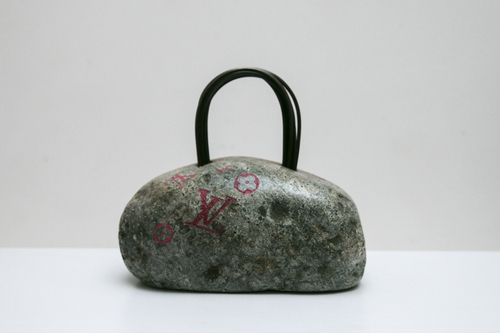 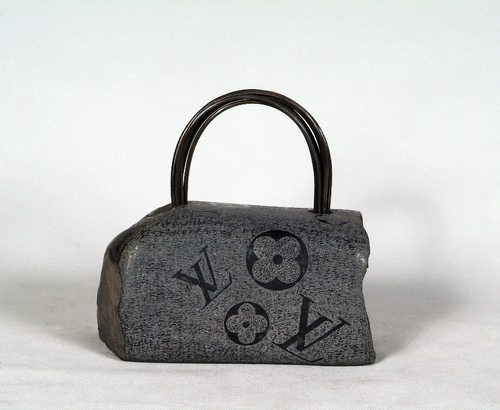 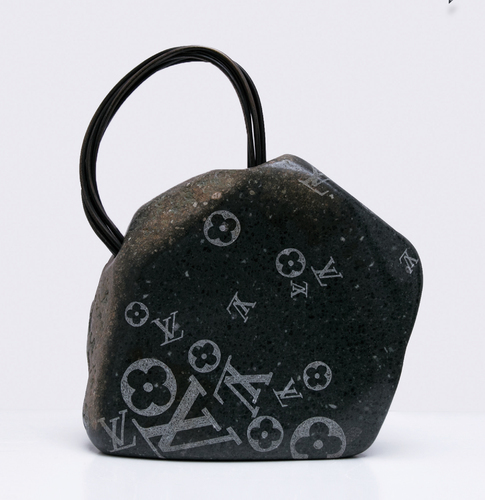 These Luxury stones, although appearing at first as parodic works on Chinese counterfeit bags of big brands such as Louis Vuitton or Chanel, go well beyond a simple imitation or representation of these objects. 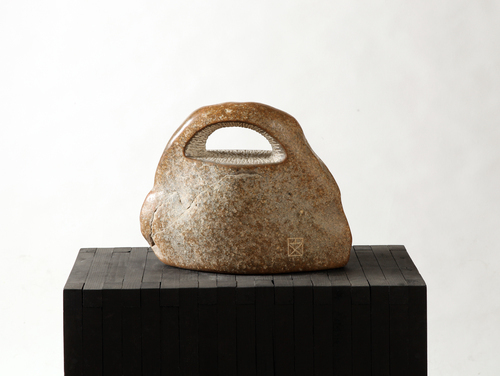 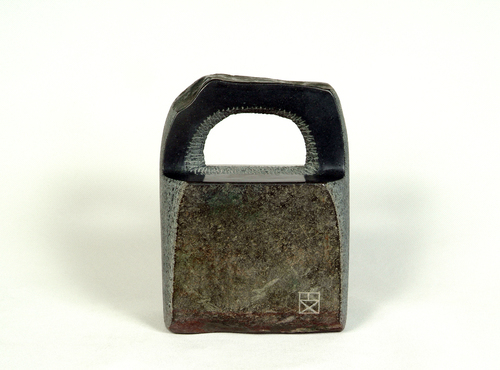 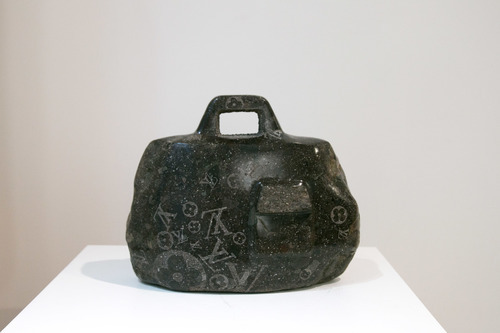 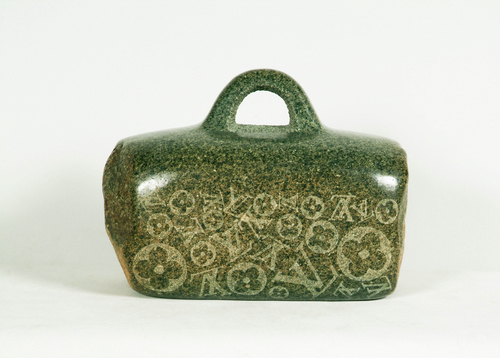 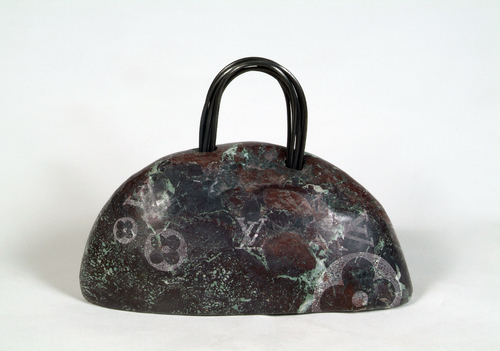 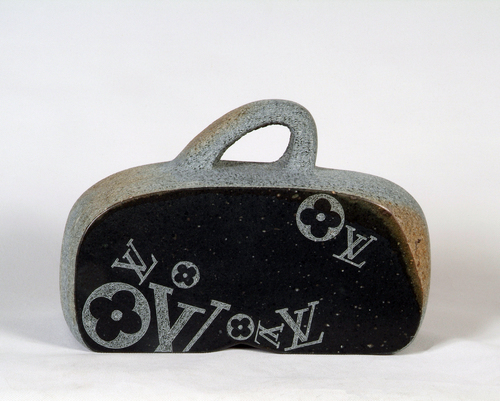 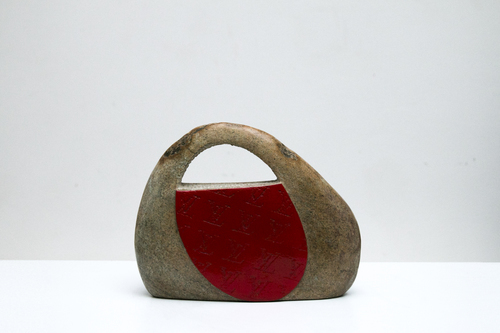 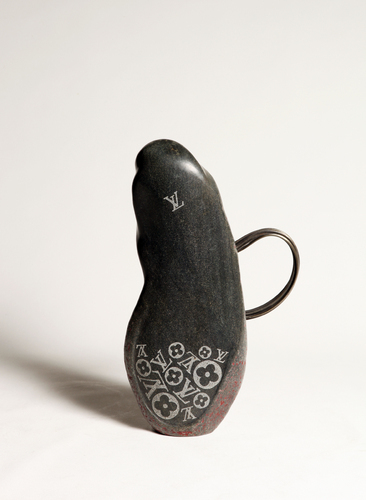 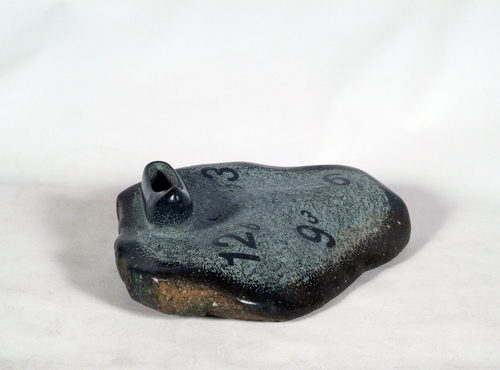 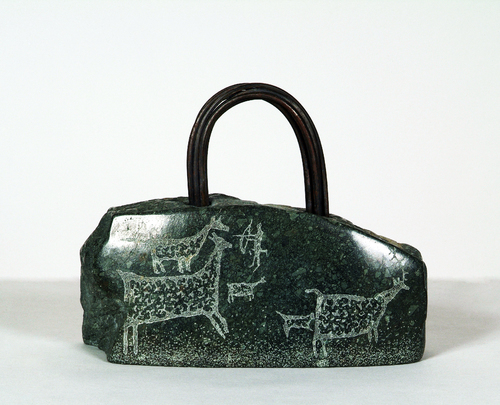 By the very characteristics of these stone objects, the useful function of the bag disappears. 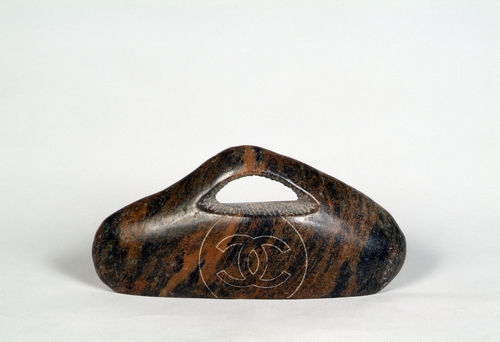 By losing any functional character, the object is now transformed into a symbol object, an icon. 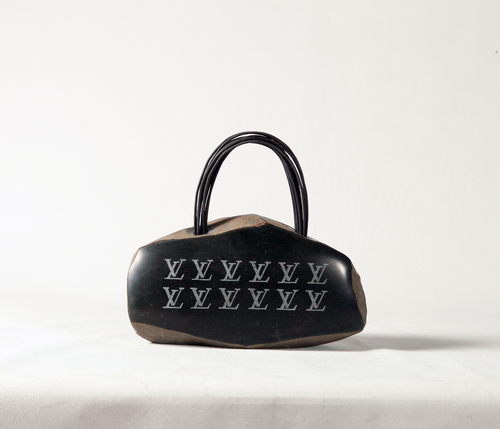 Only the desire for possession, linked to the unique visual identity of each brand, is preserved. 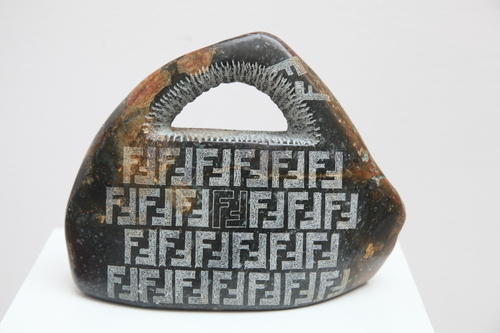 It is here sublimated by the stone, on the one hand polished and engraved as if it were a jewel, on the other hand retaining its raw and timeless nature proper to the statuary tradition. 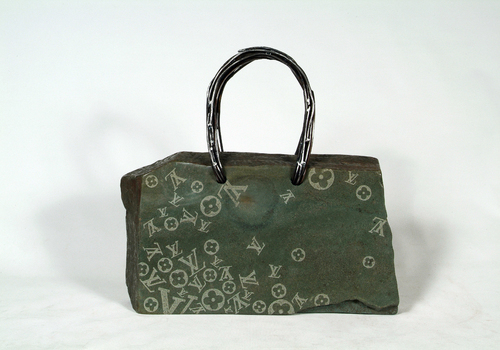 The hijacking therefore concerns both the modern luxury object and the material. 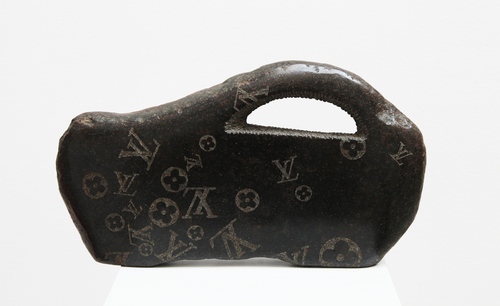 The weight of these Luxury stones suggests just as much the massive and fetishistic nature of the consumption of luxury brands in Asia, as the human sacrifices implied by the process of production and acquisition of luxury goods. 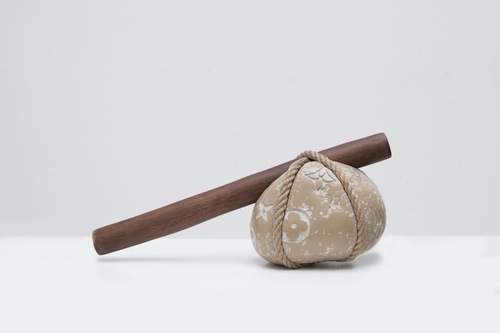 These works question the dull persistence, through the modern market economy, of a whole tradition of constraints and imperatives related to social success. 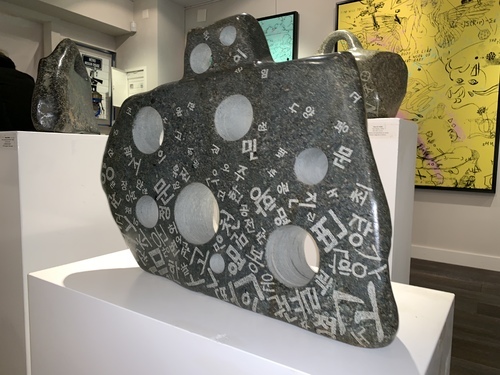 NY ACAF (Asian Contemporary Art Fair), Park Ryu Sook Gallery, NY, U.S.A.
Resin and rope sculpture - Original edition of 120 ex.